Can I Stop Cold Turkey? Adderall is a stimulant medication prescribed for people with attention-deficit hyperactivity disorder (ADHD). However, Adderall is also a commonly abused substance. Those abusing Adderall place themselves at high risk for addiction and mental and physical health problems. Professional addiction treatment can help those who find it difficult to overcome their compulsive use of this drug. Trying to stop using Adderall on your own is not easy. Many types of withdrawal symptoms can occur, and some of these symptoms can be dangerous if not treated properly. The following are some treatment options for Adderall addiction. Inpatient or residential rehab can be helpful for anyone with an Adderall addiction. Here, you’ll be able to detox from the Adderall as you work closely with a therapist and other addiction professionals. 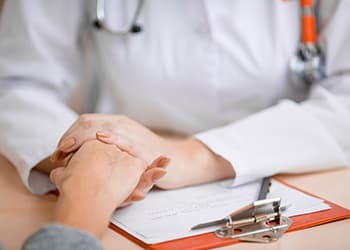 Inpatient treatment may also be helpful for those with co-occurring mental health issues – such as depression – or those abusing other drugs in addition to Adderall. Outpatient rehab offers many of the same services as inpatient, such as group and individual counseling. But if you’re enrolled in an outpatient program, you’ll visit the treatment center only at certain times during the week, instead of staying at a facility 24 hours a day. Withdrawal symptoms may begin within a few hours to a few days after your last dose. During the first few days, you may experience the more acute symptoms of fatigue, sleep disturbances and depression. After the initial withdrawal, you may continue to experience some of these symptoms. But they will not be as severe. How long you took Adderall. Other mental or physical conditions. Quitting Adderall suddenly without medical oversight can be very difficult. Relapse is very common without support. Many people often begin taking the drug again to avoid the unpleasant side effects of withdrawal. Instead of quitting Adderall cold turkey, consult a physician who can medically supervise a taper from Adderall or find a recovery center that provides medically supervised detox. The emotional and physical support you receive will aid in achieving recovery success, make the withdrawal less difficult and also enable you to be monitored for any complications. In addition, you may have mental health issues, such as depression, that can first appear or rapidly worsen during Adderall withdrawal. In these instances, there may be a real danger of suicidal thoughts and/or attempts. Proper medical supervision can help to keep you safe. If someone you care about is abusing Adderall, here are some suggestions for getting them help. Approach them calmly. Although family may feel that they are at their wit’s end with an addict, expressing anger, shaming, blaming and threatening them can put an addict more on the defensive. Remember that people who are addicted do not think clearly. When they are not ready to receive help, the most logical arguments in the world will not appeal to them. However, it is important to provide support, encouragement and love, even if they don’t seem to be listening. Consider an intervention. But the intervention must not turn into screaming matches or shame the addict. The support of a professional is often helpful to guide this approach. Practice self-care. Remember that you do not have control over the addict, only over yourself. Groups such as Al-Anon help family and friends understand what they can and cannot do for the person. More stable moods. Adderall addiction can lead to increased anger, irritability, and even paranoia.3 Quitting Adderall can lead to fewer issues with mood swings. Address the root cause of the addiction. Stopping the use of Adderall is important. But why did you become addicted in the first place? Were you or your loved one using Adderall to increase academic performance, push yourself to work too many hours or control your weight? Work with your physician to find healthier ways to manage weight. This is often a concern for people who have experienced a good deal of appetite suppression while on Adderall, particularly if they lost weight while on the medication. You may gain weight when you stop taking Adderall. But you can work with a physician to find healthier ways to manage your weight. What Should I Know About Quitting Adderall While I’m Pregnant? All the concerns and precautions about quitting Adderall without medical oversight apply to pregnant women.
. Substance Abuse and Mental Health Services Administration. (2015). Treatments for substance abuse disorders .
. National Institute on Drug Abuse. (2014) Commonly abused drugs charts.
. American Psychiatric Association. Diagnostic and Statistical Manual of Mental Disorders, 5thed. Arlington, VA American Psychiatric Publishing, 2013.
. UptoDate. Dextroamphetamine and amphetamine: Drug information.
. Australian Government Department of Health. (2004). The amphetamine withdrawal syndrome .